“The prologue of Georgi Gospodinov’s novel “The Physics of Sorrow” ends with the sentence “Аз сме.” (Eng: “We am.”). This feeling of living in plural and being connected with several different generations is characteristic not only for Gospodinov’s novel but also for a novel of an Estonian contemporary writer Viivi Luik. The acknowledgement of being connected with different generations and people over time and space could be read as a sign of a need to work with the past, to address one’s own and the past of one’s country. The secret connection between generations, but also collecting stories of others and building a bridge to mythology or ancient cultures are just some similar poetic elements that connect the Bulgarian author Georgi Gospodinov (born 1968), Estonian writer Viivi Luik (born 1946) and German novelist Christa Wolf (1929–2011). 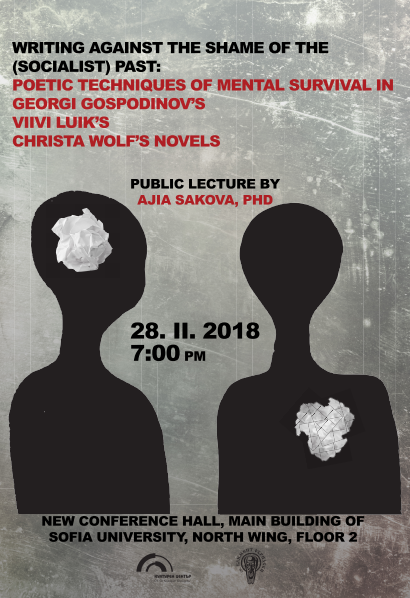 The lecture aims to explore, what connects (and separates) these three different authors of different generations and nationalities and their novels published in 2010 and 2011: Georgi Gospodinov’s “The Physics of Sorrow” (Физика на тъгата, 2011), Viivi Luik’s “Shadow Theatre” (Varjuteater, 2010) and Christa Wolf’s “City of Angels” (Stadt der Engel oder The Overcoat of Dr. Freud, 2010). It is not merely the fact being published very closely in time in Sofia, Tallinn and Berlin but rather the spirit of those novels. It is a search for a balance between dealing with the past that hasn’t even past yet and looking into future. It is the awareness that there is no escape of writing about and facing the socialist past, more precisely that there is no escape from the shame of the past. 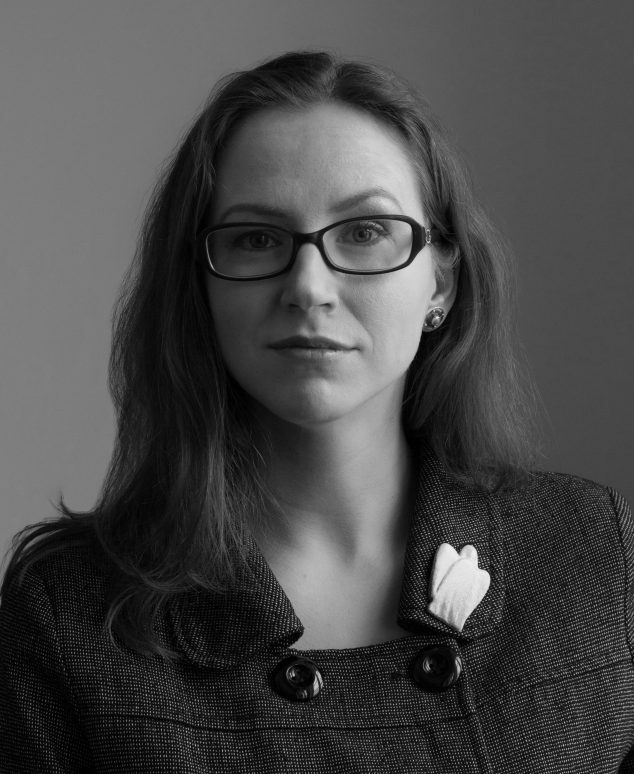 Aija Sakova, PhD (born 1980) has studied German and Estonian literature at the University of Tartu in Estonia, at the University of Konstanz and Berlin Humboldt University in Germnay and at the University of Vienna in Austria. Her research interests cover Estonian and German contemporary literature, the question of remembering and addressing soviet / socialist past and moral aspects of remembering. Sakova works as a senior researcher at Estonian Cultural Archives at Estonian Literary Museum. She has received several scholarships from German Academic Exchange Service (DAAD) and from the Alfred Toepfer Stiftung F.V.S.